Available from a range of locations across the country, reaching the hottest travel destinations has never been easier. 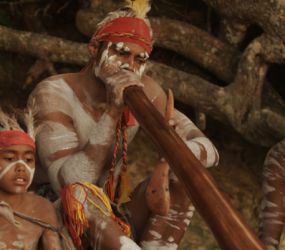 Australia’s northern territories are ripe for exploration. 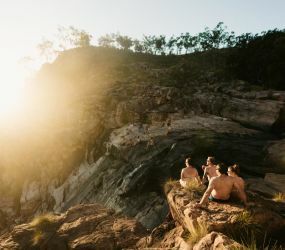 As the weather heats up, taking a road trip north to explore is a great way to take in some of what Australia has to offer. 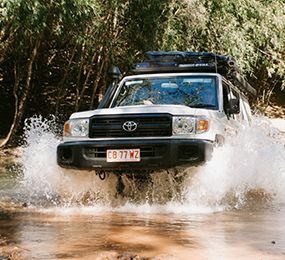 Now’s the time to make new memories, and to get your next 4WD road trip locked in! Our 4x4 campers have everything you need, to find that untrodden beach, that perfect swimming hole, that hidden piece of history at the end of that track that leads to a place that you always knew was there - somewhere. We’ve got years of road tripping experience and with this collective expertise – we've got you covered at every turn. And we love hearing your adventures. 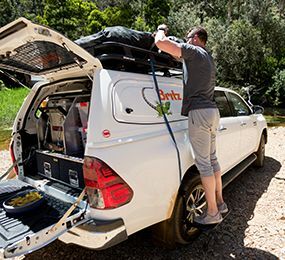 So if you're searching for the best 4WD Camper deals, making your plans or ready to book - you’ve come to the right place. 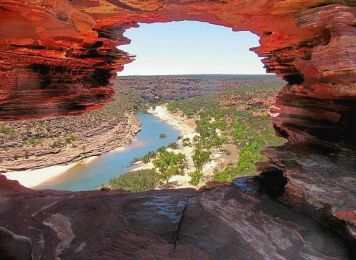 Hire a 4WD camper from Britz AU and discover the outback for yourself. 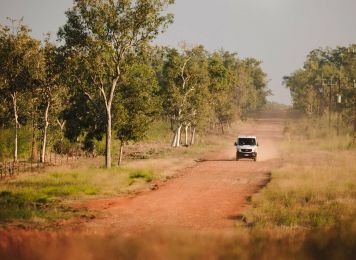 Hiring a 4 Wheel Drive and going on an adventure of a lifetime takes you up close and personal with the real Australia; where locals will point the way to the unforgettable discoveries around every corner. Every trip is unique. 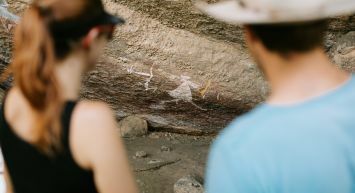 Local knowledge, a bit of navigation and your own instinct will guide you as you live your own stories. Uncover stories that are begging to be told – or share your own around the campfire before packing up and moving on as the road beckons. 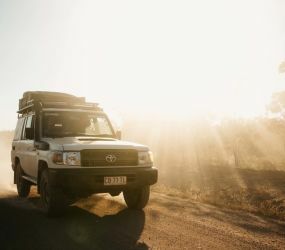 We offer 4x4 hire across Australia, so we’re sure to have the vehicle you need to get you where you’re going. 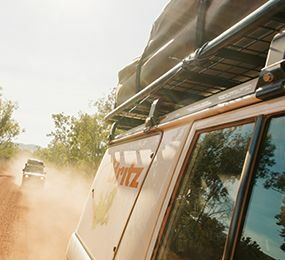 Our 4WD campervans are available from Darwin, Alice Springs, Broome, Perth, Brisbane & Cairns so there's no shortage of great places to explore. We've also got you covered if you want to pick up at one location and drop off at another of your choice, no worries. Check out our range of unique 4WD campers, perfect for couples, families and mates! 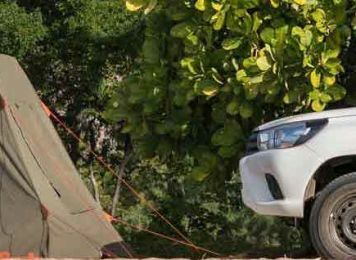 The brand new Scout AWD, Outback 4WD and Safari Landcruiser 4WD are all guaranteed to be under 6 months of age and sleep from 2 to 5 people. 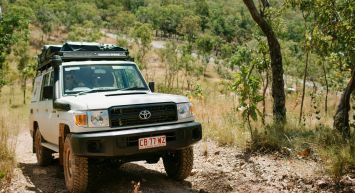 We've designed our 4x4 campers based on feedback from what you want for an Aussie off road adventure. Ensuring each customer who hires an Australian 4WD gets a vehicle they can be proud of, with everything they need to keep them comfortable in the outback. 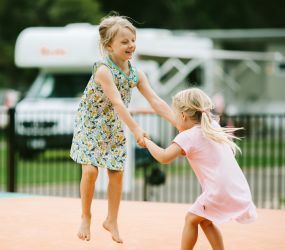 All campers come with fridges to keep the drinks cold, camping chairs and table, storage for your gear, tents built for the Australian outdoors with sleeping mats and bedding – all perfect whether you’re travelling with mates, family or solo.